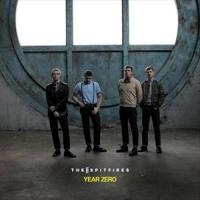 "The Spitfires are a Watford based band who have been together since 2012, featuring songwriter Billy Sullivan on vocal/ guitars, Sam Long on bass/ vocals, Matt Johnson on drums and Chris Chanell on keyboards/ vocals. The Spitfires have released three critically acclaimed singles (Spark to Start , Tell Me and I'm Holdin' On) , gigged extensively at home and abroad in which fans new and old alike immerse themselves in the power and energy that comes firing off the stage. It's no wonder that the likes of The Specials and Paul Weller have asked the band to support them recently." The band release their debut album, "Response" in 2015, followed by: "A Thousand Times" (2016), plus 2018's: "Year Zero".